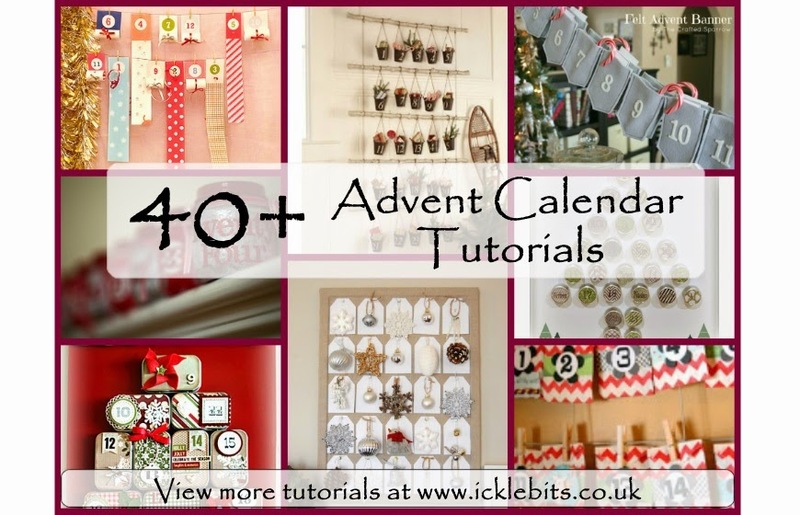 Icklebits: Tutorials: How To Make Your Own Advent Calendar. Over 40 Tutorials! Tutorials: How To Make Your Own Advent Calendar. Over 40 Tutorials! If you have one to share and would like me to feature it, please visit my facebook page and upload a link there, or comment below.